Our Kalamazoo, MI dentist, Dr. Katherine Schier, completed her undergraduate studies in Chemical and Biomolecular Engineering from Vanderbilt University. From there, she attended the University of Pennsylvania School of Dental Medicine and graduated with honors in 2015. Dr. Schier completed her general practice residency and fellowship training at LSU University Medical Center. Today, Dr. Schier is a dentist in Kalamazoo, MI whose dental services include cosmetic dentistry, oral surgery, and endodontics-dentist. 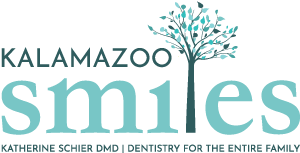 Our Kalamazoo, MI dentist has enjoyed taking advanced classes over the years with, but not limited to, tooth extractions with socket preservation surgery, dental implant placement and restorations, root canal therapy, and cosmetic dentistry. Dr. Schier is also a member of the American Dental Association, Michigan Dental Association, Kalamazoo Valley District Dental Society, and the Academy of General Dentistry. When our dentist isn’t treating patients, she enjoys spending time with family and friends, playing tennis, enjoying nature, and cooking. Our dentist in Kalamazoo, MI accepts patients of all ages. Whether you’re interested in porcelain veneers or oral surgery, you can trust our dentist for excellent patient care. To request an appointment with Dr. Schier, call Kalamazoo Smiles at (269) 353-3700.